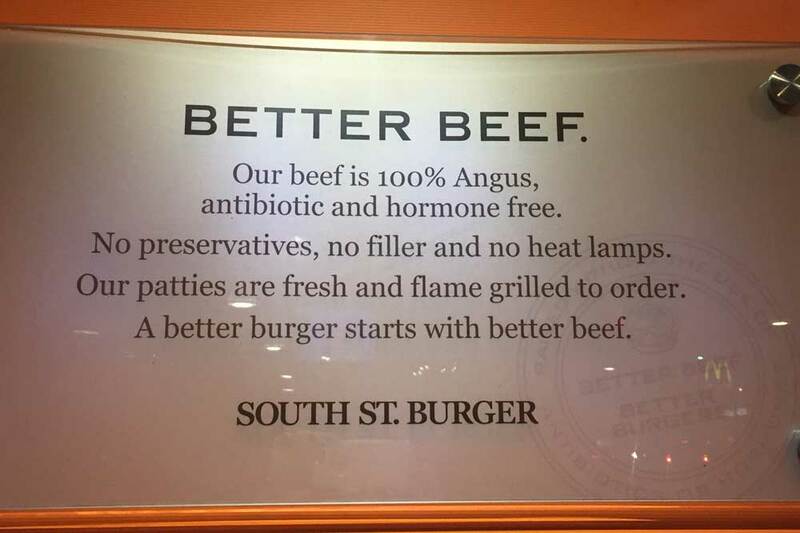 It’s great to get a night off from cooking now and then, and even better if your classic burger-and-fries meal out comes with the confidence of antibiotic- and hormone-free meat. Here’s our review of South St. Burger and a chance to win a $100 in Burger Bucks to try it yourself. We’re not big fast-food people. 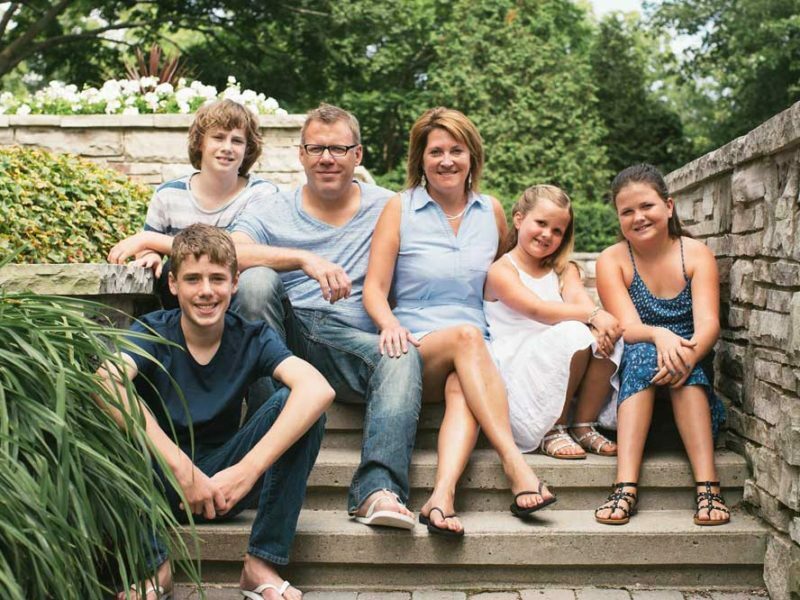 I don’t say that to be all braggy and holier-than-thou about how I feed my family. It just happens that cooking is like a hobby for me and I get a nerdy amount of pleasure from meal planning. 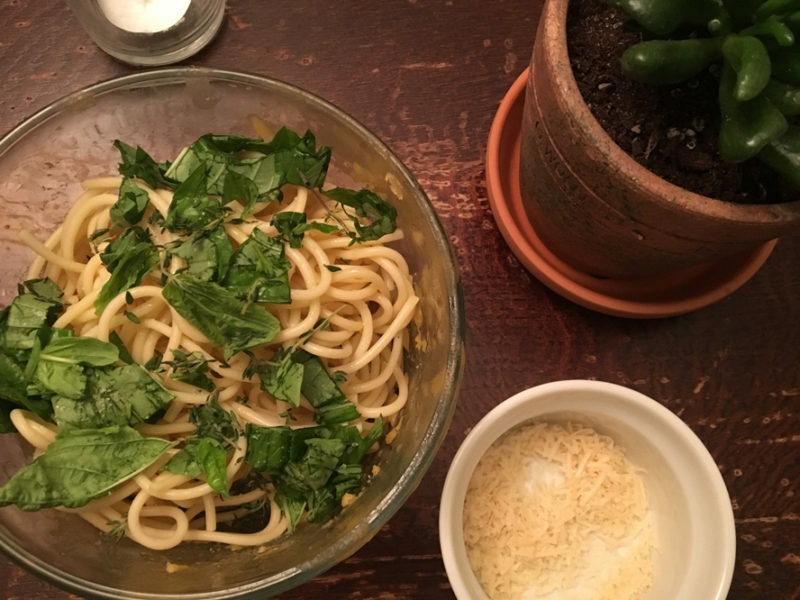 That said, though, the daily grind of weeknight dinners gets me down sometimes, too. But we’re lucky enough to live in an urban neighbourhood where it’s easy to get a wholesome bowl of soup and sandwich from a bakery cafe as opposed to a junky fast-food chain. That’s a privilege for sure. 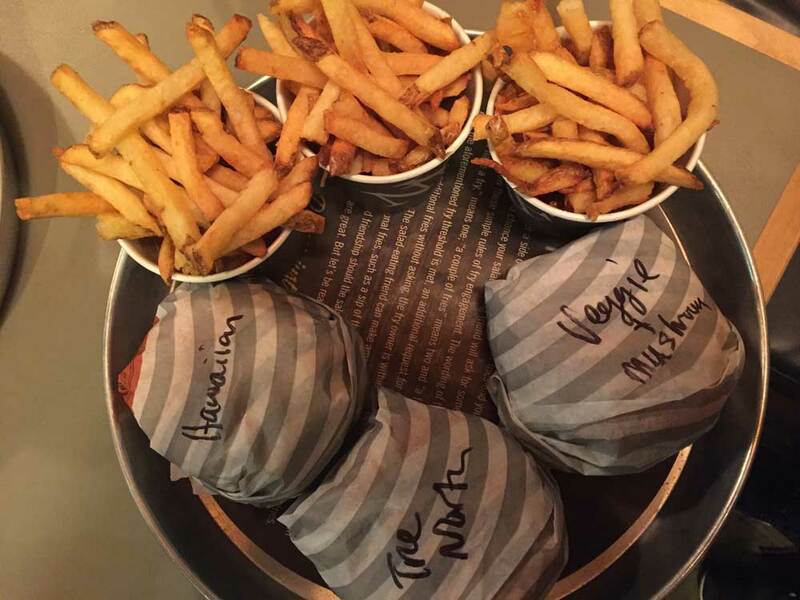 Although we tend to avoid fast food, just like the next people, we love a good burger and fries. So when we were invited to check out and review South St. Burger—a 100 percent Canadian-owned restaurant chain with 35 locations across Canada—we decided to give it a go. It would be a treat to have a break from cooking and dishes on a busy family weeknight. Plus, I took confidence from learning that the beef is from cattle raised without antibiotics and hormones, and that no preservatives or additives are incorporated in the process of making the patties. That’s a big deal to me. I trim my food budget elsewhere—buying basics at No Frills and produce from the most reasonably-priced of my local green grocers in order to have enough to buy my eggs, beef and sandwich meats from Rowe Farms, which also has an antibiotic- and hormone-free promise. So when I take the kids out to eat I also want to know that the animal proteins they consume are produced in a healthy manner. My boys are omnivores but I do not eat red meat. Happily, I checked out the menu online and learned that there’s a soy-based, high fibre veggie burger on offer. This thing was a go! We picked a busy weeknight when my elder son, Cameron, 13, had both volleyball practice for the school team immediately after class and a rep basketball practice at 7:30. We chose the St. Clair and Rushton location because it was conveniently located en route to basketball practice. Cam hates to be late for anything, citing Steph Curry’s history of being the first to arrive at practice as his reason for wanting to get there early every time. He was pleased to see when we arrived that there was counter service where we could order right away but also seats where we could get comfortable—just not for too long. In addition to the 100-percent Angus beef burgers, a big draw of the place is the variety of topping combinations. Cam ordered The Hawaiian, which comes with ginger glazed pineapple, bacon, lettuce, wasabi mayo and hot pepper relish. Alister, 9, opted for The True North, which features double cheddar, extra bacon, maple infused onions and a signature sauce. I ordered a Mushroom and Swiss veggie burger, which in addition to sautéed mushrooms and Swiss cheese, also comes with tomatoes, lettuce and garlic mayo. In addition to these any of the 30 toppings on offer, ranging from veggies to condiments like guacamole and mango chutney can be added to the burger to customize it to taste. Of course you can also order your less adventurous eater a plain burger and just have it topped with ketchup or whatever other condiments he or she will tolerate! There are also all-beef hot dogs, Oktoberfest sausages and grilled chicken breasts on the menu. We all got burger combos with fries—me a veggie burger on whole wheat bun—and settled in to wait for our burgers, which took just enough time to leave us confident that everything was being cooked fresh but not starving and worried about being late for practice. When our food was ready it was hard to resist the hot and crisp French fries which were perfectly done. I won’t eat fried food if it’s not worth the calories and these were absolutely worth the splurge. 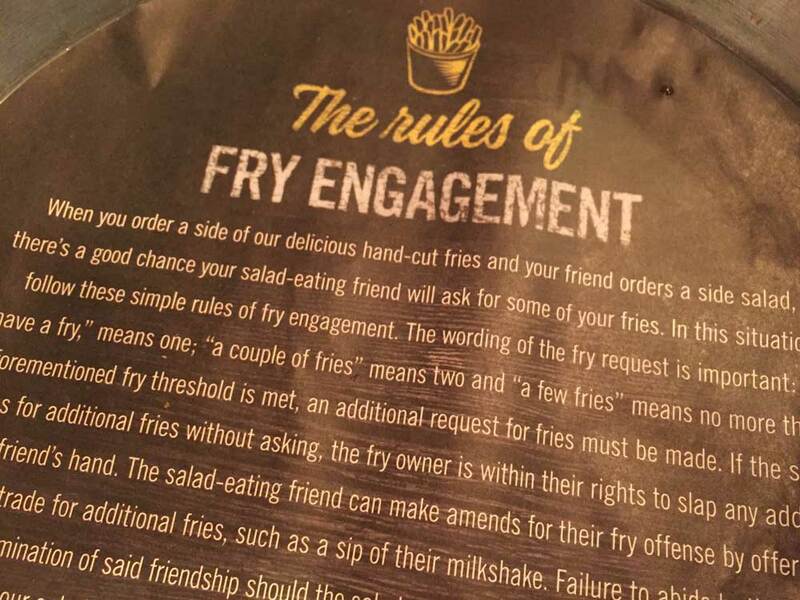 We got a kick out of “The Rules of Fry Engagement.” We’ve all been or dined with that person who orders salad but really wants the fries. 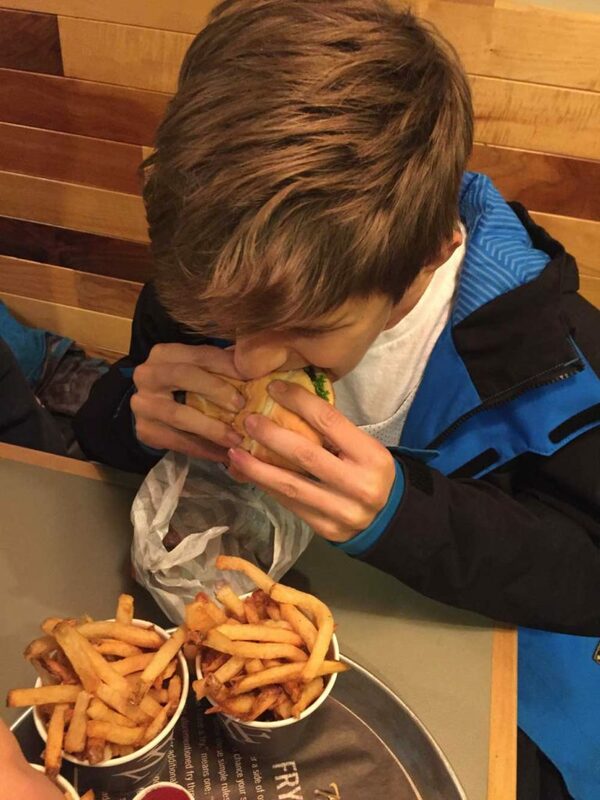 Given that Cam was on the way to a physically rigorous basketball practice, the original intention was that he was going to eat just half of his burger and keep the rest for later, lest he wind up a little queasy from an over-full belly. But once he dove into his burger it was game over for the half-burger plan. “I’m sorry, I can’t eat just half,” he said. Cam’s been around the burger block a few times. 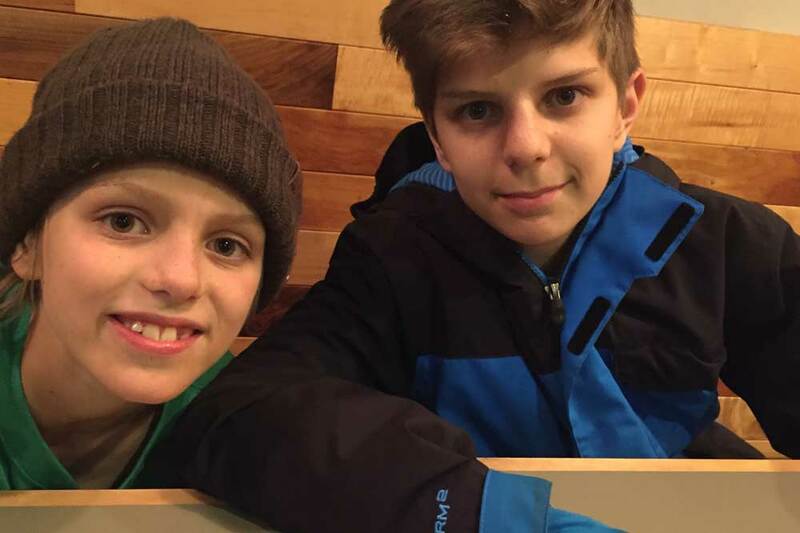 He’s had a chance to try some good quality burgers, including those at the upscale bistro Harbord Room where I took him for a mother-son dinner to mark the occasion of his 13th birthday. He said that the South St. Burger was up there in his top three. 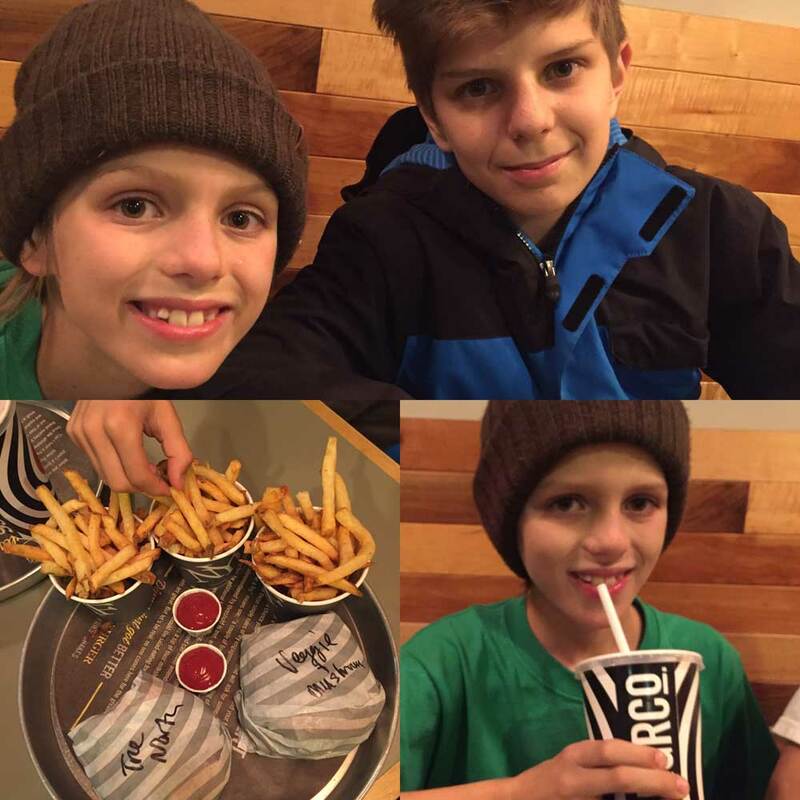 The burgers come in four- or six-ounce patties, and the four-ounce was just the right portion for both boys. 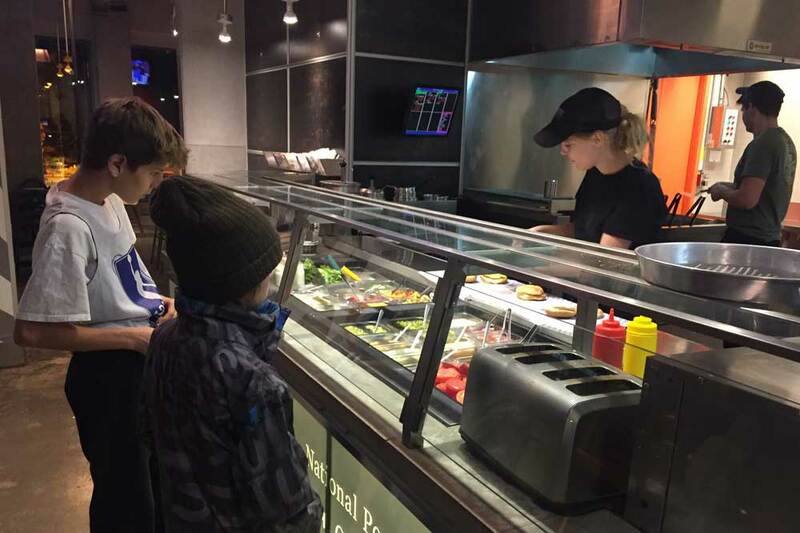 A couple of little kids could probably share one burger—just as long as great attention was paid to getting their chosen condiments just right. My veggie burger was really yummy, too. Far too often these faux-meat veggie burgers are so full of salt you can practically feel your ankles swelling like a pregnant lady on a hot day. This one was just right—flavourful but healthful. I enjoyed the opportunity to chill out a little and let dinner get prepared by someone else. I really value the time we spend around the dinner table and that doesn’t always have to be at home. In fact, when preparation and cleanup is off my plate, it seems to make space for a little extra easy conversation and quality time. Apart from it being our first to South St. Burger, it was a regular family outing with Alister playing out a light-saber battle with a couple of French fries and me mortally embarrassing my teen by humming along to a song within the vicinity of a girl. We’d definitely hit up South St. Burger again, and in fact if you’d like to give it a try, all you have to do is leave a comment on this post by December 16, 2016 and I’ll enter your name in a draw for a $100 in Burger Bucks. 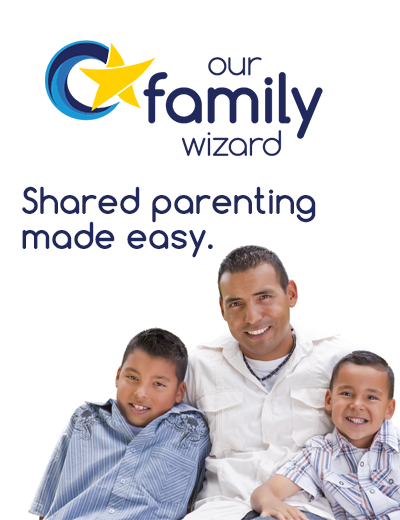 You can easily find the location nearest you by entering your address here. Good luck and happy dining! Related: To listen to an interview that explains how exposure to antibiotics in food and elsewhere affects our immune systems, listen to our podcast episode, Let Them Eat Dirt! Related: And here’s what a Harvard researcher has to say about the connection between food and family and a new way of looking at picky eating. 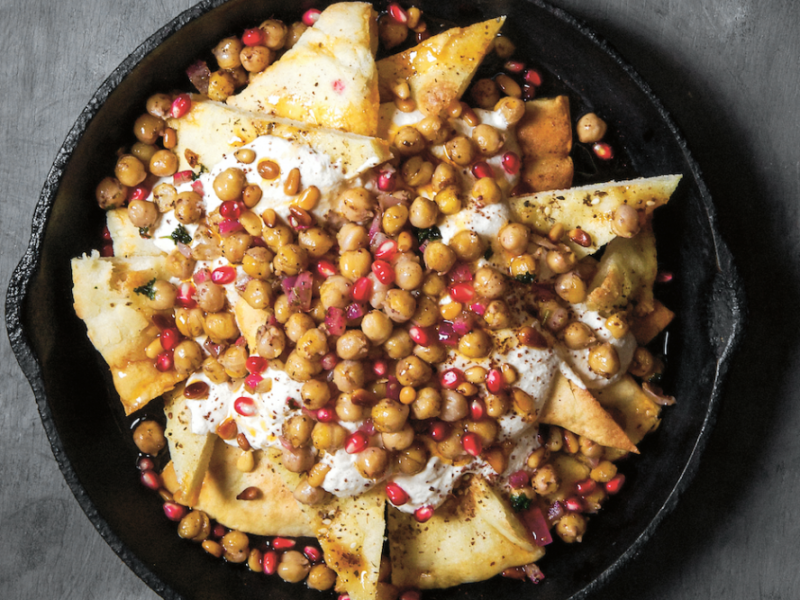 Plus don’t miss our food editor’s best tips on meal planning here and an interview with him here. I love south street burger, but I never understood why the location at Bayview Village has all these images of women in provocative poses on its walls. 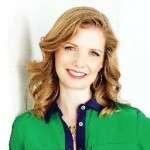 Great article Brandie and good to know they have something delicious for all of us! Great Article! Will have to treat our kids and take them there for something different. Love the Steph Curry reference, my 13 year old (Cam as well) is a big fan. 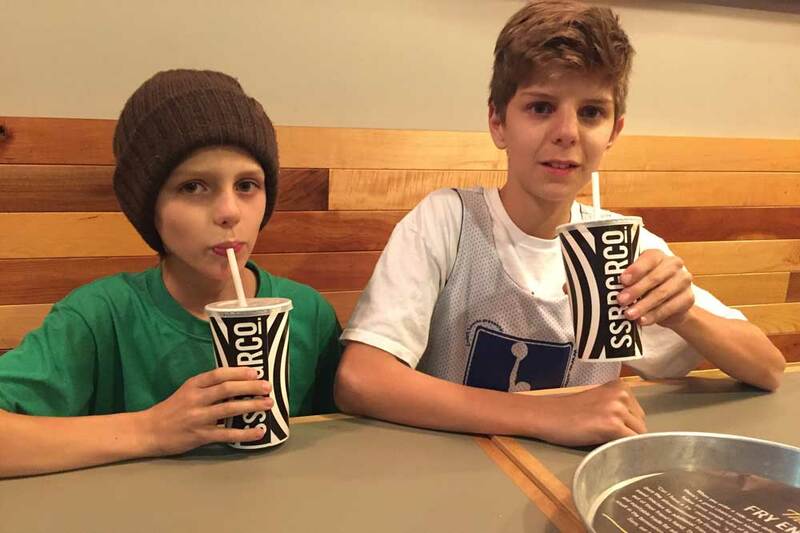 I would love to take my boys for some burger love bonding time. I love all their burger options and the fries are delish too. Fingers crossed. Cute post! I like their 4-oz size, too. Great idea…we need healthy, fast food restaurants! I pass by a South Street quite often and have never ventured in. Next time I am looking for a burger and fries, I will check them out. Burgers are one thing that is guaranteed to be a hit for our whole family. I love a chain that makes using quality ingredients a priority.